To travel and experience things that you haven't done is a dream job for me. Most especially if it's an all expenses trip. The story, boundless discoveries and the people you meet along the way are every backpacker's treasure. 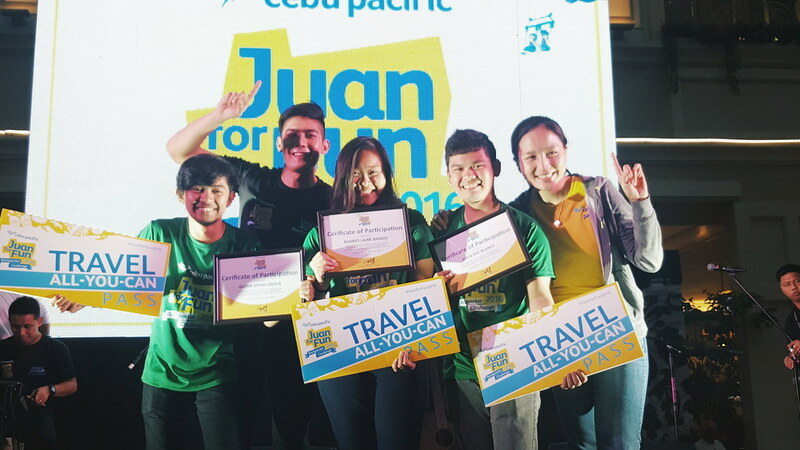 That's why I'm so envious when Cebu Pacific gathered five teams from different universities to travel as many awesome adventures that the country has to offer. 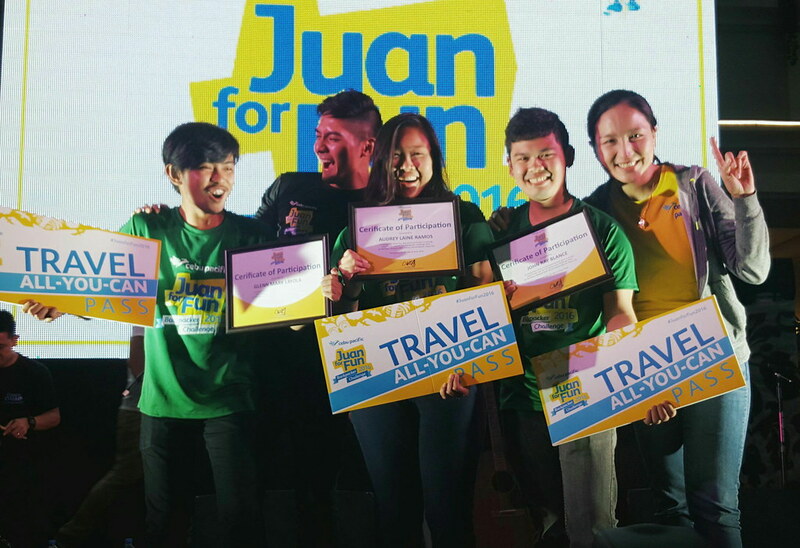 Last week, I witnessed the competitive awarding of the Juan For Fun 2016 echoes around Resorts World Manila. I felt the heat in the room from the cheering group of #JFFJUANTeamPH, #JFFTeamPablo, #JFFTeamPura, #JFFTeamTAG and #JFFTeamWork. After seven days straight exploring different parts of the Philippines with the given travel allowance worth Php 35,000. 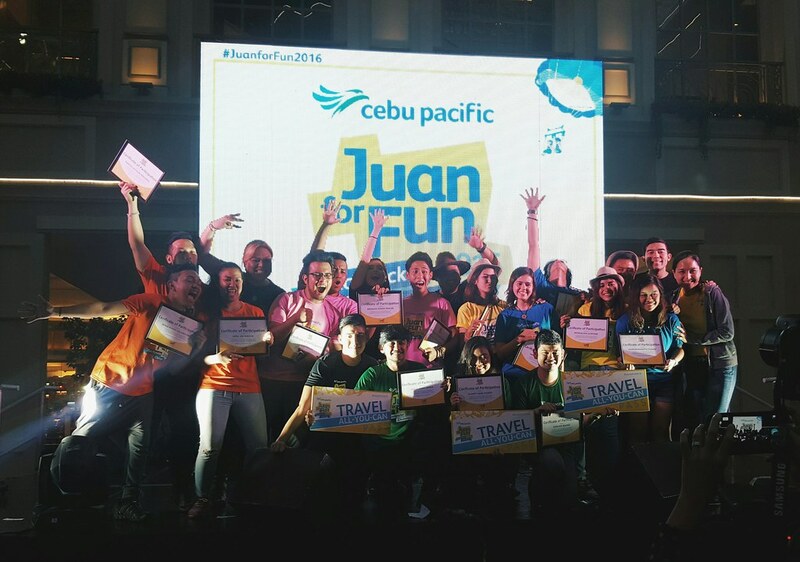 The teams gathered for an epic night to receive an epic prize of Travel-All-You-Can pass. That night #TeamJuanPh won the title with their coach TV host and VJ Robi Domingo. The prize entitles each member to as many free flights to domestic and international short-handed destinations as they want within one year. 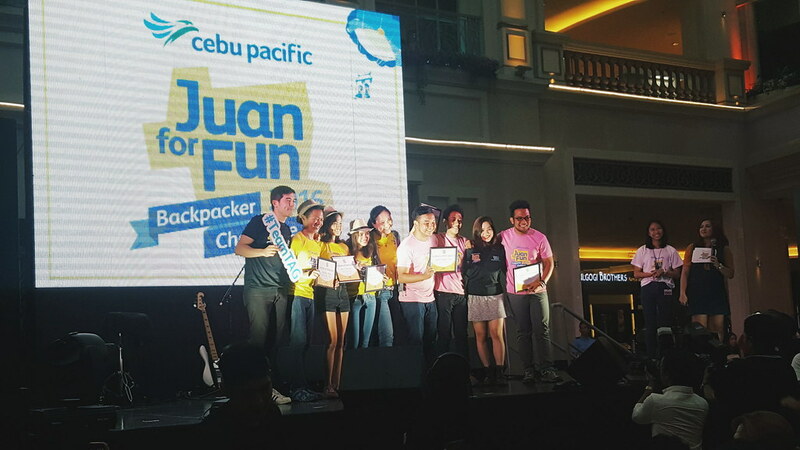 They also got to take home a gift certificate from Cebu Pac partner brands like Merrell shoes, Tripoli gym travel store, and Boreas travel bags. Ugh! Travel apparel goals it is.